Found by John while surfing...love being retired. 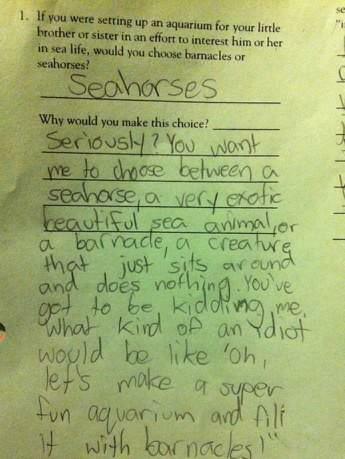 More of the greatest inappropriate test answers from young children. 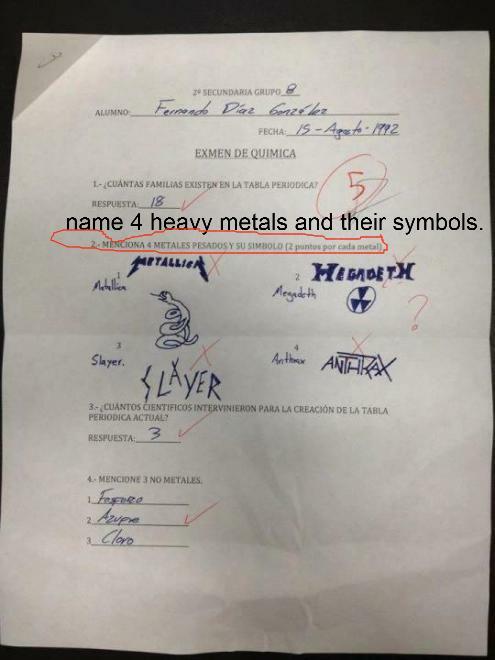 Shouldn't that be Examen de Quimica?